Recently, a client asked for my advice on how to treat book, journal, and article titles in her organization’s communications materials. 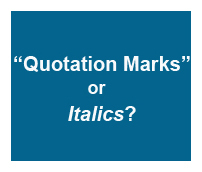 The question came after some debate within her organization on whether certain titles should be in quotation marks or italicized, and how that formatting would reflect on the organization’s competence and brand. So what is the right away to format book titles? Well, a post from Writer’s Digest (yes, I did just put that magazine title in italics), has the right answer: it’s up to you, but you (and others at your organization) need to stick with whatever format you choose. For example, the AP Stylebook encourages using quotation marks for book titles. The Chicago Manual of Style recommends italicizing titles of books, pamphlets, periodicals, newspapers, plays, movies, and TV programs. It also suggests using quotation marks around titles of articles, poems, songs, and TV episodes. In my experience working with magazine and book publishing companies and university communication and marketing offices, most organizations use the Chicago Manual of Style way for titles, even if they normally adhere to AP style. In fact, all five universities featured in my recent post on editorial style guide examples follow this approach. It’s okay to have exceptions like these in your editorial style guide. 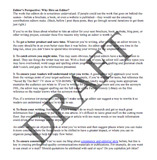 That’s why it’s important to have an editorial style guide specifically tailored for your university or company and the unique editorial situations you encounter. Overall, what matters more than being right is consistently using the same style (and exceptions) in all of your external and internal communication pieces (website, magazine, brochures, e-mail blasts, etc.). And, if the exceptions are in a written style guide, it helps to have that guide to show anyone who questions your editorial style decisions. Editor’s Perspective: Why Hire an Editor? If you’re on the fence about whether to hire an editor for your next brochure, book, website, blog post, or other writing project, consider these five reasons why hiring an editor is worth it. 1. To get a better product and save time. Whatever you’re writing, after you have an editor review it, the copy should be in an even better state than it was before. An editor may even save you time in the long run, since you don’t have to spend time reviewing your writing for the umpteenth time. 2. To catch errors you might miss. This may seem obvious, but good editors have a keen attention to detail. They see things the writer may not see. With a fresh pair of eyes, an editor will catch any typos you may have overlooked, word usage and spelling errors your word processor’s spelling and grammar check didn’t catch, and gaps in the information presented. 3. 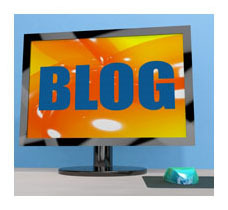 To ensure your readers will understand what you write. A good editor will approach your work from the vantage point of your target audience. For example, if you’re writing for teens, but reference the “Saved By The Bell” TV show or “CD-ROMs,” an editor can kindly suggest using more appropriate examples the audience can relate to. If you’re writing for genealogy beginners and you use the acronym FHL, the editor may suggest spelling out the full name of the Family History Library on the first reference so the reader knows what the acronym means. Plus, if a sentence (or paragraph) just doesn’t make sense, an editor can suggest a way to rewrite it so readers can understand what you’re trying to say. 4. To focus your writing. Sometimes when I write, I do so much research and get so much great information that I just want to put it all in one article. It’s difficult to leave great stuff on the cutting room floor. But overloading a communication piece or article with too many words or too much information could dilute your message and its impact. An editor can take an objective look at what you’ve written and then suggest places where you can make it more concise, where the focus needs to be shifted to have a greater impact, or where you can re-organize paragraphs to help the copy flow better. 5. To ensure consistency. You’ve seen me blog about consistency and editorial style before, but this is key in creating professional-quality communications materials or publications. For example, do you want to use email or e-mail? Should quotations be attributed with said or says? Do you capitalize job titles? An editor can make sure the voice and style is consistent throughout your digital or print publication. Interested in hiring an editor? Contact Dana’s Creative Services to discuss your project and your editing needs.